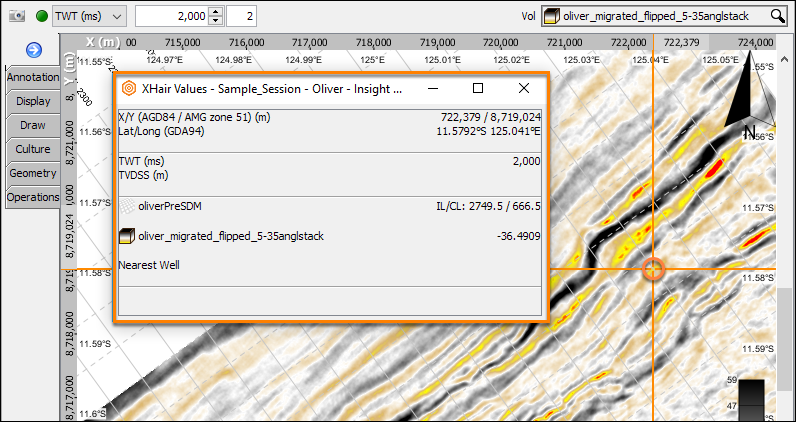 The XHair values window provides values from all volumes, horizons and nearby wells for the current cursor location. 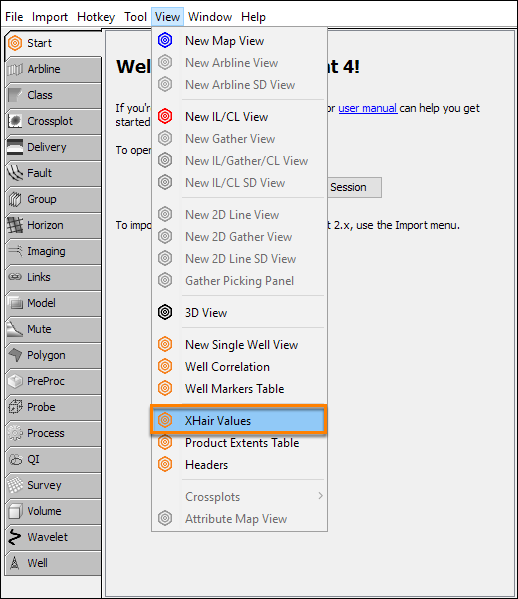 Open the XHair Values window using the View menu in the Control Panel. Note: Pressing Ctrl + 1 copies the contents of this window to the clipboard.